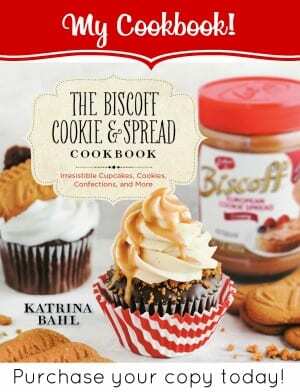 I’m so excited to announce that today is the official publication date of The Biscoff Cookie and Spread Cookbook! To celebrate I’m giving away two CASES of Creamy Biscoff Spread along with signed copies of the book! I filled this cookbook with 70 irresistible recipes featuring treats from cookies, muffins, breakfast sweets, frosting, and everything in between. 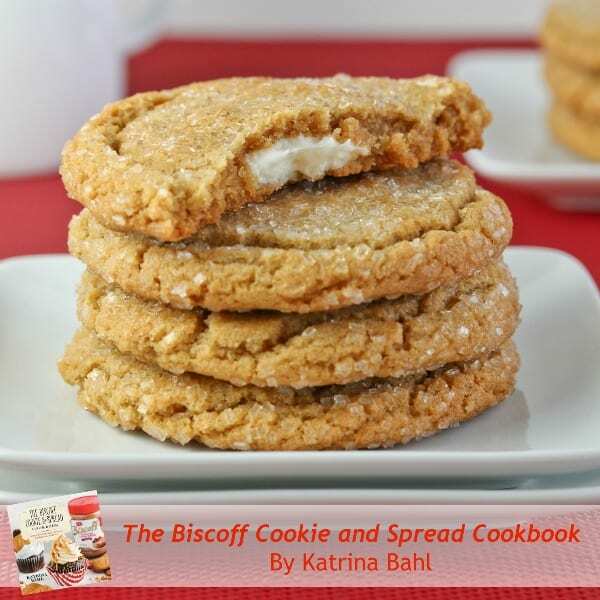 Each recipe uses the delicious gingery, European cookie butter made from Biscoff cookies. You may know the famous cookies as the airline cookie that has been served in flights since 1985. I hope you are excited to bake from this cookbook! 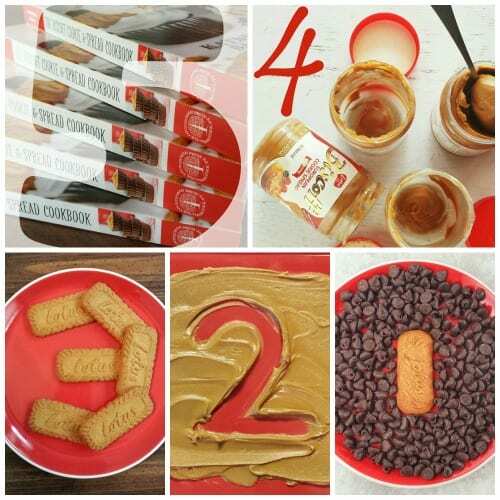 If you’re a Biscoff fan, or even if you’ve never tried the delicious spread now is your chance to hit the jackpot! 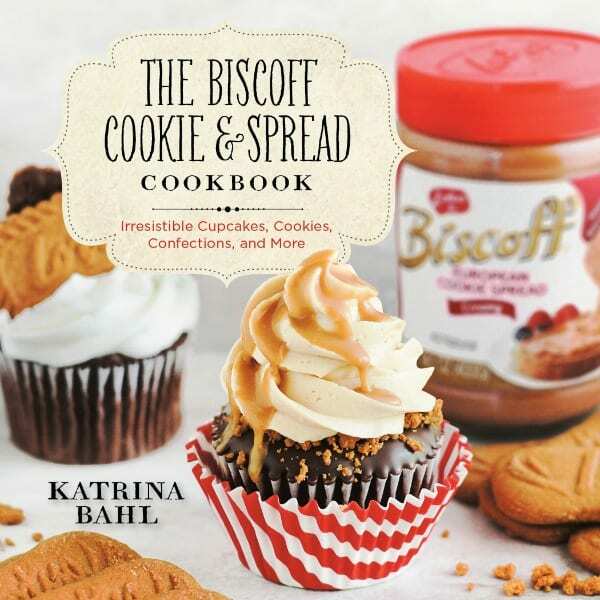 Not only am I giving away 2 signed copies of The Biscoff Cookie and Spread Cookbook but the winners are also getting a CASE of Creamy Biscoff Spread! I would ABSOLUTELY LOVE it if you share with me when you see a copy of the book! Snap a pic, upload it to your favorite social media platform and be sure to use the #BiscoffBook hashtag. Now, let’s give away some books and cases of Biscoff spread!!! So HAPPY HAPPY HAPPY for you!! Today is a beautiful and wonderful and amazing day!! Your book is WONDERFUL! Perfect. I adore it and you! I am SO happy for you! This books looks gorgeous and I CANNOT wait to get my hands on a copy of it! Biscoff love forever! Congrats!! This cookbook looks fantastic! Congrats on the book! Can’t wait to get my hands on it. Congratulations! 🙂 This is so exiting! I can’t wait to share this book with my European readers… they’re going to LOVE IT since they’re crazy about anything Biscoff and speculoos! Thank you Betsy! Thanks for sharing in my happiness about this project from the start! Thanks Chelsea that means so much! Congratulations! SO happy for you! Can’t wait to get my copy! The pictures from the book look DELICIOUS!! I love Biscoff. I scour Big Lots, the commissary German section, and even brought back a CASE from my last trip to Europe. I love, love, love them. Congratulations! It looks like a great cookbook filled with deliciousness and lovely pics! Congratulations…Perfect time of year to release a cookbook, right in time for holiday baking! I love biscoff! The second I heard you were doing a biscoff cookbook I knew I must have a copy. Those brownies and the buckeye cake look amazingly delish! I am now sad my morning can’t start out with a heaping spoonful of biscoff! Thank you so much! I hope you love it as much as I do! Can’t wait to try some of these recipes – they look delicious! Congrats on the book! Everything looks so yummy!! Can’t wait to get! Congratulations!! Can’t wait to try out some recipes! Yep, you’re the one who introduced me to this stuff. Life changing! Super congrats on the book – so excited for you! You have been so supportive from the start. Thank you my sweet friend! Congratulations my dear!! 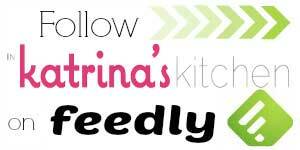 I’ll be looking for your cookbook, I would love to get my hands on your lovely recipes. Love Biscoff! Can’t wait to get my hands on your book! Love your blog, have made a lot of your recipes and love them all .Biscoff is one of my favorite things, remember the first time I had a cookie o a plane trip.So happy we now have the spread ! And your recipes ! Thank you Sonya. That means so much to me! Congrats on the cookbook. The food looks wonderful. Looks beautiful and sounds mouth-watering! Can’t wait to check it out. Congratulations! I am so so excited about your new cookbook. It is at the top of my XMas list but I might not be able to wait that long!!! This is bond to be a best seller for sure! Congratulations! Congrats on your new cookbook! I love Biscoff spread and have made a couple of recipes with it. It would be great to have a whole book full of ideas! So excited for you! Can’t wait to get a copy! yeah, so excited about your cookbook. I have been a huge bis off lover for years!!! and recipes from the cookbook. Congratulations!! 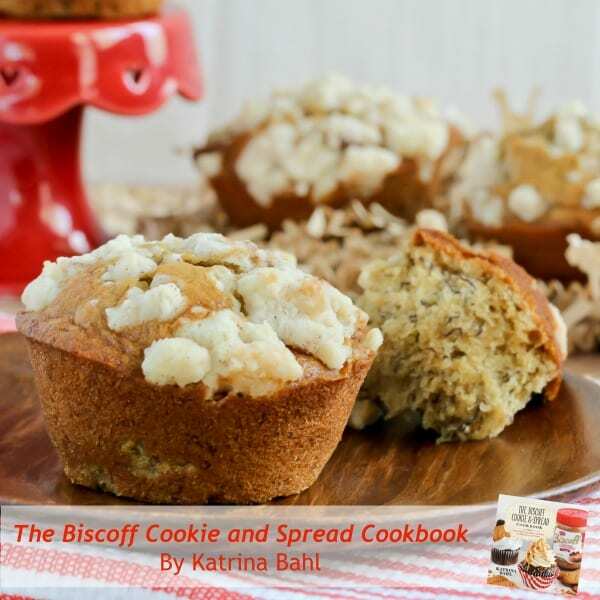 I love Biscoff – your cookbook will be amazing! Can NOT wait to get this book! Biscoff and I are best buds already…. Yummity yum yum! Congratulations on your book! Anyone who can create a whole book with Biscoff recipes is my hero! I can’t wait to get my hands on this book! I am so happy for you, Katrina! I have the book and LOVE it! XO! Thank you SO much for the chance to win!! Congrats on your book also!! My husband has been a Biscoff freak for years, probably because he flies so much for work. There is something about them. Best of luck with the book! so, so happy for you! What an amazing dream/goal you’ve realized. Not sure what I want to win more……………your book or the spread!! Delicious! Congratulations! I can’t wait to receive this new book! I am so excited to check this out. I was recently introduced to the glory of Biscoff spread and my son will sit and eat half the jar with a spoon. We love Biscoff!! Oohhhh, I LOVE Biscoff cookies – wicked awesome to have a cookbook dedicated to all things Biscoff. Omg, this totally makes my Monday! There is now entire cookbook dedicated to this delicious stuff? Day made! It;s the perfect book for this time of the year. Congrats!!! I am eager to get my hands on a copy!! i’m so excited for you! It’s such a great accomplishment. You shoud be so proud of yourself. Those brownies look yummy! Congrats! I’ve never tried the spread before but now i certainly do! OMG! We LOVE LOVE LOVE Biscoff! Whether I win or not (which I hope I do), we will totally be getting this cookbook!!!! 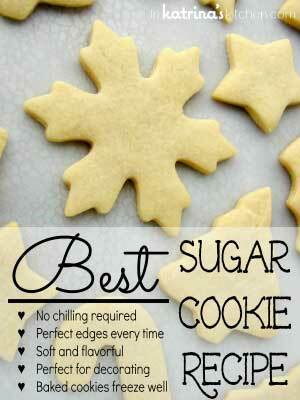 Just in time for the holiday baking season too! WOOHOO!!! 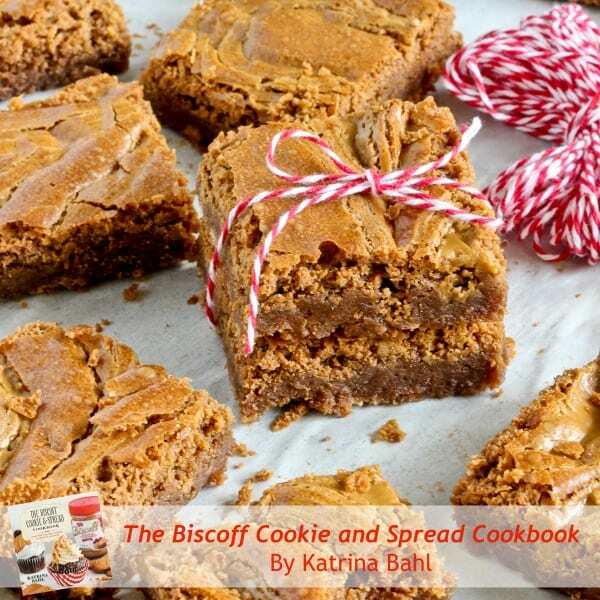 I LOVE Biscoff and this cookbook is genius!! Would love to win! The book looks amazing! Congratulations on your success! Can’t wait to try all the recipes! Congrats! Huge accomplishment. I’m a bit of a Biscoff addict. Great giveaway. Mazel Tov Katrina! What a phenomenal accomplishment and I’m so happy for you! Wishing you all the success with the book (can’t wait to add it to my collection). Congratulations on this monumental accomplishment! I would love to win this prize! Love Bischoff!! My daughter introduced me to it last year!! Best thing ever.. This will be a Christmas gift for my daughter who has been making biscoff balls at every family gathering. She will flip if she gets this!!!!!!! oh my gosh!!!! I so need this!!! everything looks sooooo yummy! thanks for the chance! Great giveaway!! My family LOVES Biscoff Spread!! finally a cookbook for the Biscoff Spread. Both smooth and crunchy taste amazing! Hopefully I can win a signed cookbook and get to using it asap!! I love Biscoff, but have always been puzzled by ways to use it. This book would solve that issue for me. Thanks for the giveaway. So pleased that a local grocery finally started selling Biscoff spread! 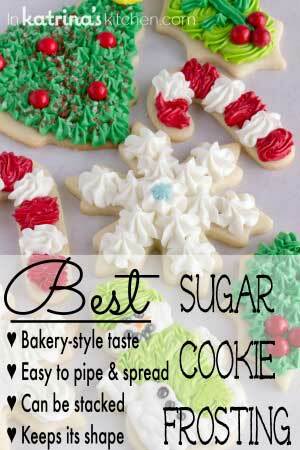 I love eating it on apple slices and have made some yummy cookies with it. Look forward to trying many of your recipes as well. I am so excited or this giveaway. I’ve already ordered your book, but it would be great to win a signed copy, plus…Biscoff!!! I’m so excited about this cookbook. I love Biscoff and am always looking for recipes that use it!!! Oh YUM! This is a must have. Oh no….need a spoonful of Biscoff after reading all this upcoming delishisness…. Congratulations on your Biscoff cookbook! Thank goodness, Biscoff cookies and spread are so readily available in So. Cal =). Love your website. i wish you all the best and hope your book sales exceed your expectations! and can’t wait to have a copy. Love the spread! If I win a case I will actually use some of it in recipes instead of eating it straight out of the jar! How exciting!! I can’t wait to check this cookbook out!! Yummo!! What an exciting time! Wishing you scoops of success with this fantastic book. I would love to try the White Chocolate Biscoff cookies! This is great! I’m allergic to peanuts and tree nuts, so I can’t eat peanut butter, almond butter, cashew butter, etc… This is such a great substitute for baking! Wonderful gift idea for a friend who loves Biscoff! can’t wait to try some of the recipes for her! Yum! Love Biscoff cookie butter. It’s so good even out of the jar. oh, how exciting…I love Biscoff spread…looks like some great recipes. YAY! Congrats to you!!! I want to devour that cupcake on the front! OMG! I absolutely LOVE Biscoff in any way shape or form! NUM!! Hope I win! This book will be the perfect gift for my kids who love to bake and also love Biscoff. And for myself, too, of course! I love biscoff! Its so hard to get in Melbourne but I always manage to somehow find it on random sites online (so expensive though). I need your book like, right now! Our family loves biscoff spread. We are a nut free family and when we found that the biscoff was nut safe I had the realization that buckeyes could once again be a christmas tradition. I hope to win! I love this biscoff! Gosh, a recipe book and a case of the stuff, how can you go wrong! I never heard of Biscoff but after reading all these comments, I’m headed to the store tomorrow to buy some. I left a comment earlier this morning but it isn’t showing up! I said that I have never heard of biscoff, but after reading all, the comments about it, I am going to buy some tomorrow when I go shopping. I love your website, I think I must have gained a couple of pounds just looking at all the goodies you have here. I am definitely going to try some of them, my sweet tooth is all fired up just looking at some of these recipes. Thanks for a great site! Oh my goodness I need to win!!!! I love Biscoff and I need a new cookbook for college!! Can’t wait for the ideas, pictures, and inspiration! Wow…you mean there are other ways to eat Biscoff other than on a spoon? Thanks for the give away – you new book will provide me with some new recipes for holiday desserts..!!! Love Biscoff! Can’t wait to try some recipes!! I can’t wait to get my hands on your book! Congrats x100000! Thanks so much for the givaway!! Katrina this cookbook sounds awesome. Can’t wait to see it. I love baking with Biscoff so this would be great! Your desserts look amazing! I can’t wait to start cooking! I am so excited to try some of these recipes with my new kitchenaide mixer! They all sound amazing! I’ve heard a lot about Biscoff, but never tried it Excited to see what all the fuss is about! I think that I gained ten pounds just looking at your page.Wow,they make my stomach growl. I would love to win this book! It looks amazing and I LOVE Biscoff!!! Congratulations! I rue the day I ever tried Biscoff spread. I’m sure your book would entice me to do something with it other than stick a spoon in the jar…. i plan to make those swirl fudge bars. I haven’t seen these cookies in our stores in SC. I’ve only had them on Air Transport flights. I usually ask for more! 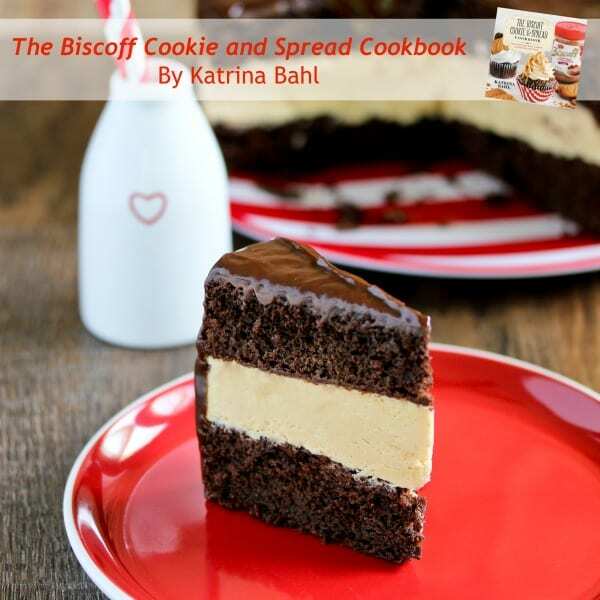 Congratulations on your cookbook, Katrina! Oh boy do I love Biscoff……and I love baking with it. One can never have too many ways to use Biscoff! This book looks amazing! And who wouldn’t want a CASE of Biscoff? Yum! All the recipes look so delicious, especially the Fudgy Biscoff Swirl Brownies. I would love to try them all. I have never tried the spread but after looking at these recipes, I know that I have to get some of this. 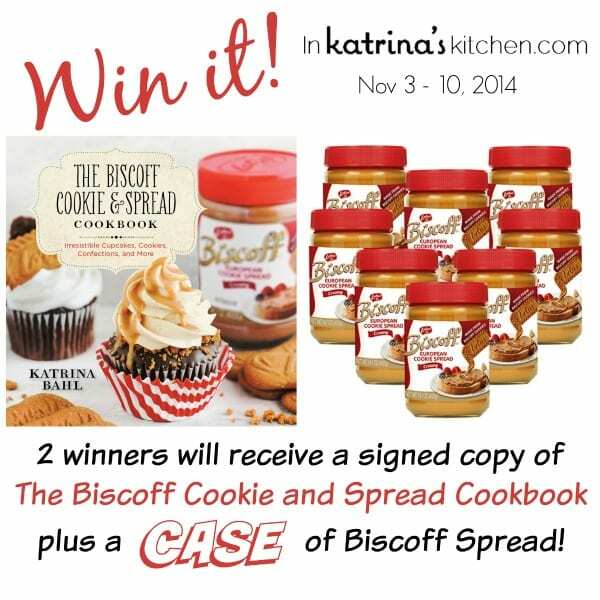 I would need your cookbook if I won a case of Biscoff spread! All these recipes look sooo good, I’ll definitely have to try them! The cookbook and spread sound perfect for the holidays. A huge congrats, Katrina! This book looks magical. You are one talented gal. Oh my, this looks heavenly! I would love to have this cookbook! Congratularions on your book!! It looks yummy and I would love to try all the recipes!! I have family members who would go bonkers for a jar of Biscoff spread. I see instant stocking stuffers! This book looks amazing! Biscoff is my life! I just discovered Biscoff spread. It is amazing. I love making peanut butter balls with it. Can’t wait for the cookbook! Congrats!! What an absolutely amazing looking cookbook!!!! This could be a dangerous book to have. Congratulations. Congrats Katrina! This is awesome! OMG this looks heavenly! I would love to have this cookbook! i am also Katrina! Your stuff looks wonderful! Especially the cheesecake! Congrats on your book, my mouth is watering just looking at the pictures. I’ve just recently tried Biscoff and can’t believe it took me so long to try it, I’m looking forward to trying it in different recipes. My kids love this stuff – since my daughter is milk/nut allergic it has been our peanut butter/nutella replacement. I saw a link to your site from http://www.sallysbakingaddiction.com. Thanks for making a book with great looking recipes! As a native belgian I was so excited when the spread made it across the pond and I am as excited about this cookbook. Thanks for the chance. This book! Seriously, I am so glad I stumbled across this website and found your book! It’s so pretty and the treats… divine. I have always been a closet Biscoff fanatic, but now I see I don’t have hide the love anymore! I’m among my people, finally. Not to be creepy, Katrina, but I think I love you. This totally made my day 🙂 “I’m among my people!” lol yes you are!! yum, this cookbook looks awesome! Your book looks amazing! Can’t wait to get one! I love your recipes as well! Thanks for sharing! Biscoff is the best. I first found them while traveling through Europe. I would love to have a cookbook that uses them! CANT WAIT TO GET THE COOKBOOK! CONGRATS Katrina! I can’t wait to get this cookbook! What a fabulous way to CELEBRATE ️Biscoff!! congrats, the book looks amazing! Congrats!! Would love to try out these recipes!!! This is probably the best cookbook idea I’ve ever heard of! I love Biscoff so much, it’s hard to explain to people most of the time how good it tastes. OSU Buckeye Football Team and the Buckeye candies are a staple at Christmas time. If I am not the lucky winner, I’m going to ask Santa for a copy of your cookbook so I can make that delicious looking cake along with your other yummy creations. THANK YOU for the opportunity. Oh wow — that cookbook looks *amazing*! I love Biscoff! Congrats, girl! This book is amazing! Congrats on the cookbook! Everything looks so good!!! Congrats on the cookbook! I know this is a dream come true for you. Yummy! Congratulations on the book! I cannot wait to get this cookbook! I was just very recently introduced to Biscoff spread by my daughter who was home visiting from college. SO addicting! Yum Yum Yum is all I can say!! Oh my gosh pick me!!!!! This would be awesome for my hubby!!!!!! Your recipes look amazing! I’ve been wanting to try a recipe using biscoff spread but have not yet had the chsnce. Congrats on your cookbook a ND wish you continued success. Can’t wait to check out the cookbook! Congats… just recently introduced to Biscoff… so happy to see your book!! amazing idea for a cookbook!! Congratulations!!! Cant wait to get your cookbook and try some new recipes. this sounds awesome – thanks for the giveaway! Can’t wait to try some recipes! Omg I love Biscoff! The spread alone is so good. Yes I’m talking straight out the jar, don’t judge! I am SO intrigued by the photos of these desserts! I have not tried Biscoff products, but I really want to now that I have seen your new book! Eat dessert first! I absolutely love Biscoff spread, that’s such a great idea! I know what to ask for for the Holidays, sounds awesome! My whole family loves Biscoff, especially my youngest. He packs it in his lunch everyday. These look Oh SO YUMMY!! I um… I’ve never had biscoff, so I totally need to make up for lost time. Congratulations on your book! I have never tried biscoff before, so I would love to win!!! Congrats again! Congratulations on your book launch Katrina! It looks great!! Bravo! The book looks so inviting ! Congragulations for such a wonderful book.It looks beautiful as well as helpful. I am a happy, happy woman today! 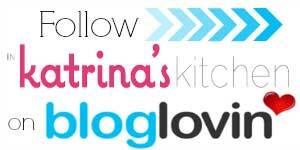 I’ve dedicated a post on my blog for my great love of Biscoff Cookie Butter, but now I have found your site and your entire cookbook dedicated to the most delicious food ever made! It’s more than a spread-it’s heaven on a spoon! I am thrilled that I can graduate from Biscoff on graham crackers, apples or straight off the spoon, and use your recipes to make amazingly delicious creations! I worried for a brief hour or so about my new found addiction to Biscoff, and the scale certainly shows the result of such love, but it’s the holiday season, so I’ll worry about the weight when making New Year’s resolutions! Thank you for your amazing recipes! Oops- my apologies- now I see your recipes are not all Biscoff based, but your cookbook is! Your recipes look so yummy! Congratulations and thank you for your amazing cookbook!